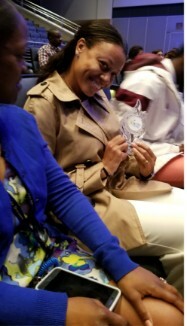 Coach Erica Roberson was nominated by administrators and voted on by her AVID peers, has received the MISD AVID Educator of the Year for her excellent service as the interim coordinator on the Coble Middle School campus this school year. She willingly goes above and beyond for our students and staff to help make the JCMS AVID system thrive. Her innovative teaching style incorporates technology, public speaking and rigorous thinking to promote college and career readiness for all students. Please help us congratulate Erica Roberson on this prestigious award.